Slowly but surely, the old stereotypes about women’s football being dull, slow and lacking in the skills department are being demolished by its growing sense of professionalism. 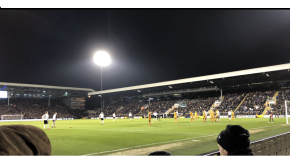 Attending the recent international friendly between England and Australia at Fulham’s Craven Cottage underlined this profound shift in how the women’s game is perceived. 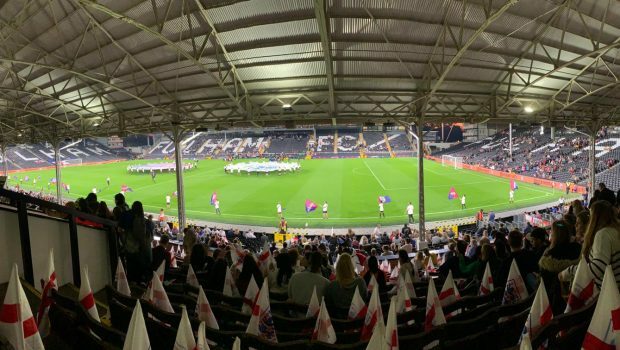 Just over 6,000 fans gathered for the Lionesses’ first game in London for four years, and while the FA might have wished for more, the atmosphere inside the ground was fantastic. Flags waved, drums sounded, a brass band played. The entire ambiance was different to men’s football, where mainly male crowds still indulge in the kind of tribalism that too easily results in aggressive behaviour, bad language and even violence. People were much more approachable and willing to speak, especially when the subject of women and football came into play. Everyone had something to say. An excitable female announcer hyped up the fans ahead of kick-off, but the values of respect and fair play were observed throughout the evening. “No matter which team I support, I just want to see a decent football game tonight,” said Elisabeth, 26, another Australia fan. As the match got underway and England dominated, children screamed while mothers shouted even louder. Even the Australian fans applauded as the Lionesses created chance after chance, taking the lead through Fran Kirby on 21 minutes. There were some whistles and boos from England fans as several questionable refereeing calls went against their team, but the howling rage and obscenities that often tarnish men’s matches was non-existent. On the pitch, another aspect that makes women’s football stand out from the elite men’s game is the respect shown by players towards each other and the match officials. You will rarely see a bad tackle, diving and simulation are virtually non-existent, as is haranguing the referee, no matter how poor their decision. Without all these negatives holding things up, women’s football also features more actual action and less stoppages. Another big difference lies in the cost of showing your support. Adult tickets to see England take on the Matildas started at £10, while under-18 and student tickets were tremendous value at just £1. In comparison, tickets for the England men’s friendly against the USA on November 15th at Wembley start at £10 and go up to £100. In terms of style of play, teams dare to play decent football. Players were always ready to make a difference and it was a pleasure to see considerable strength from both sides. The crowd was quickly won over by England’s display. “Obviously, women are not as fast as men, but in terms of strategy and tactics, it’s very similar.” added Vicky. Lucy Staniforth, playing at No. 10, certainly showed plenty, with several decent deliveries into the six-yard box as the Lionesses mauled the Matildas but failed make their dominance count. England should have been 3-0 up in the first half, but some gritty Australian defending kept things interesting. The hosts were also denied two clear penalties, but the atmosphere remained friendly and peaceful. 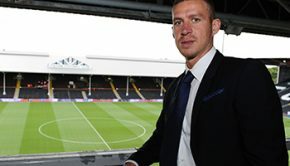 Phil Neville’s side were eventually left to rue all those missed chances as Aussie defender Clare Polkinghorne rose to power home a close-range header with six minutes remaining. England pushed for a late winner but had to settle for a 1-1 draw. Sweden are next up for them in a friendly at Rotherham as the build-up to next summer’s Women’s World Cup in France continues. 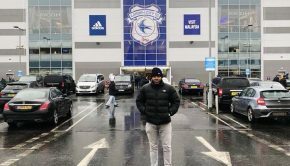 As the crowd drifted away, players from both teams stayed on the pitch to chat to fans and pose for selfies – something else you don’t see in the men’s game. 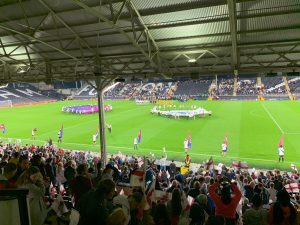 With plenty of media attention both before and after the game – and live coverage on BT Sport – the women’s international game is clearly on the up, aided by the ongoing success of an England team currently 3rd in Fifa’s world rankings. The Women’s Super League is also gaining momentum but still suffers from negative perceptions about female football. 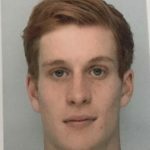 After witnessing England’s latest performance, more people should park those perceptions and give it chance.